* 1 I Y. 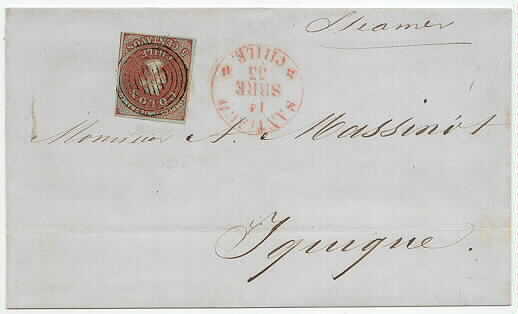 5 c Columbus with single circular grid cancel on folded adress sheet cancelled red "Santigo 14 sbre 55" sent to Iquique, Peru. One of the first known dates of usage of the second London-printing of the 5 c. Cert : Philatelic Foundation.